As the twentieth century dawned in the western world,§there were voices both inside and out of the§Christian Church that began to question religion s§central place in man s daily life. Had humanity§finally progressed to the point where religion was no§longer necessary? Had we at long last developed the§characteristics and perspectives that religion had§attempted to ingrain within us? Or were the§rules and regulations of organized religion stillneeded to ensure the continued advancement of§civilization? 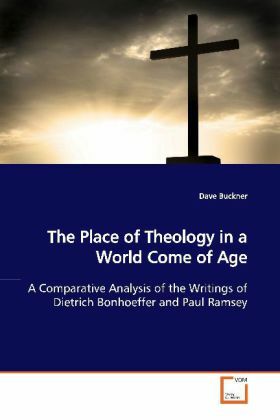 This is a study of two opposing voices§in that debate: theologian Dietrich Bonhoeffer and§ethicist Paul Ramsey. It endeavors to examine,§explain, and expound upon the philosophies of both§men in an effort to more fully understand their§theological perspectives and the implications each§has for civilization and religion as we move now§firmly into the twenty-first century and beyond.§Although an enjoyable and informative read for anyone§interested in the fields of systematic theology,§ethics, or religious history, this book is intended§to serve primarily as an introduction to the study of§theology within the context of the many social and§political upheavals of the twentieth century.